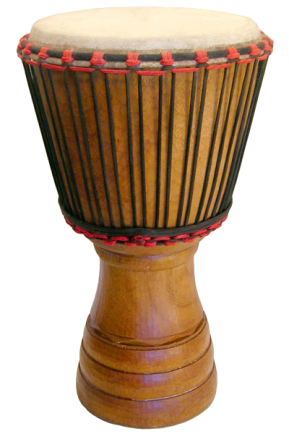 Traditionally, the drum was the heartbeat, the soul of most African communities. Drums have been an intrinsic part of African life for centuries and for countless generations, an ancient instrument used to celebrate all the aspects of life. In Western culture drumming is, most often, about entertainment. In Africa, drums hold a deeper, symbolic and historical significance. 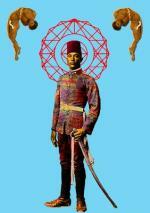 They herald political and social events attending ceremonies of birth, death and marriage. They spark courtships, they herald home-coming and going and they accompany religious rites and rituals, calling up ancestral spirits. They are used as an alarm or a call to arms stirring up emotions for battle and war. They can also inspire passion and excitement and even cause trances, a momentary loss of consciousness to either the drummer or the listener. They symbolize and protect royalty and are often housed in sacred dwellings. They are protected during battle. On the other side, drums are about communication and making music, two essential characteristics of community life. 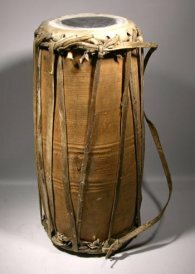 For centuries the ‘talking drums’ were a primary source of communication between tribes used to transmit messages sometimes across great distances. 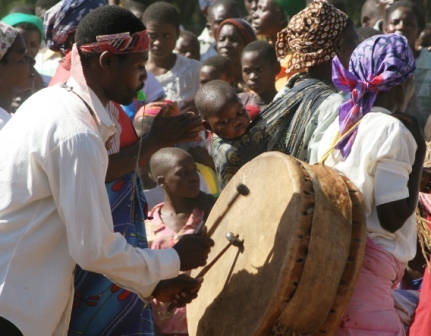 African music is a total art form closely integrated with dance, gesture and dramatization. 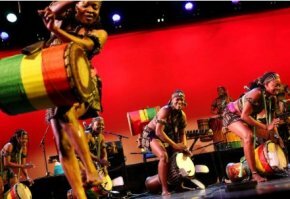 Drums are the music instrument that African music relies heavily upon to create the fast-paced, upbeat, rhythmic beat that signifies most African music. 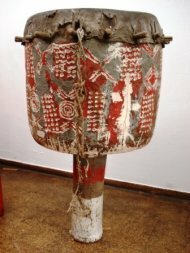 The drums can be both musical instruments and works of art, sculptural forms that are often decorated in a resplendent manner suited to their ceremonial function. They can also be everyday objects with simple but monumental form. Technically most drums are described as "membranophones” and consist of a skin or drumhead stretched over the open end of a frame or ‘shell’. The shell is, most often, constructed from wood. 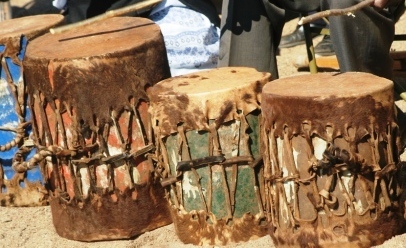 The sound is generated by striking the drumhead with hands, a stick, a rubber mallet or even the bones of the deceased. The surface can also be rubbed to create soft swishing sounds. Sometimes the drums can have rattling metal jingles attached to the outside or seeds and beads placed inside to create extra kinds of noises. They can be made from wood, metal, earthenware or gourds. 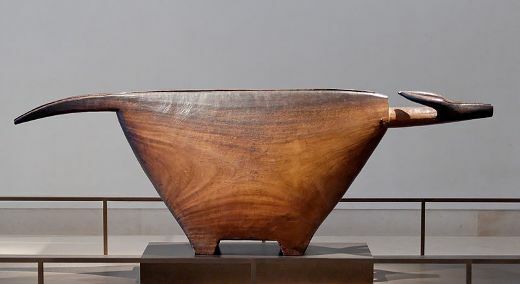 Their form can be tubular, hourglass, circular or bowl, kettle, goblet or barrel shaped. They can be round, square, hexagonal, octagonal or placed within a frame. ‘Open drums’ are single-headed with an opening at one end and ‘closed drums’ are single or double-headed with no open end. In size they can be tall or diminutive like the tom tom. In general, the bigger the drum the lower the note and the more tension in the head, the higher the note. Wide drums add the bass sounds. They can have handles or straps and be held under the armpits. They can be rested on a wooden support and they can have feet or pedestals standing on their own, being carried on backs or held between or on the knees. They can be played singly, or in pairs, or be part of a large group drum ensemble with graded tones and pitches. ‘Drum chimes’ are mounted in a frame, tuned to a scale and played by a team. Drumsticks vary from being heavy cudgels for sounding the ngoma to slender beaters tipped with rubber to elegantly curved thin sticks. 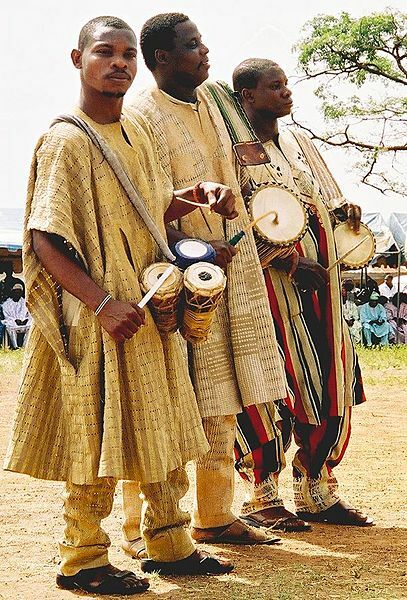 “Idiophones” refer to the Udu, log or slit drums which create sound not by beating or rubbing but by the instrument vibrating having been struck, shaken or scraped. The membrane of the drum is most often constructed from the skin of an antelope, goat, sheep or cow and less frequently from zebra, wildebeest or reptiles like crocodiles and monitor lizards. The skin is dried out in the sun and the hair shaved. 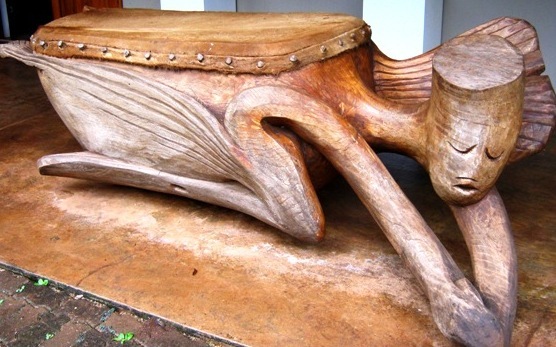 It is then stretched over the hollowed out, preferably hardwood, drum base. The skin is tightened with leather straps and nailed or pegged on. Resin on the membrane will control tone and a good drummer will treat the surface with beeswax before a performance, holding the drumhead over an open fire to stretch the skin. Twine is used to lace two skins together on double-headed drums or just simply to secure the membrane such as the one opposite. 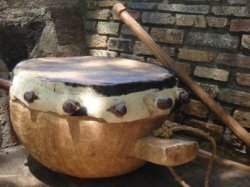 Most communities in sub Saharan Africa have diverse uses for their drums but the following countries have tribes who have shared an integral historical and spiritual relationship with this revered and sacred musical instrument for centuries. 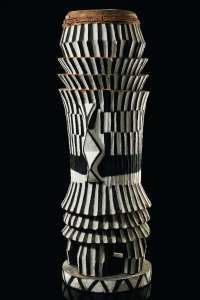 Drums can be both musical instruments and sculptures. Images can reference proverbs, cultural traditions and ways of behaving, reflect values that are important to communities. They can feature anthropomorphic images like feet, hands, female breasts, human heads as well as full or squatting figures that carry the drum on their backs. These motifs can be symbolic, carrying great spiritual meaning or they can just be decorative and tell a story. Female imagery is often used to evoke fertility. Animals and reptiles lend a wide scope of reference material for zoomorphic relief carvings. They play an important role in belief systems and ancestor spirits can take the form of any animal providing inspiration for the carvers. 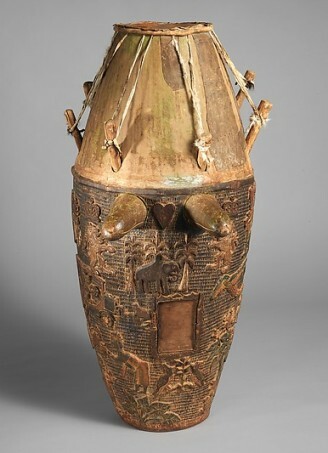 Ceremonial drums will have designs that reflect their status and their historical value; the careful execution of the carving and consideration for the imagery used fosters both prestige and belief in the tribal subjects. 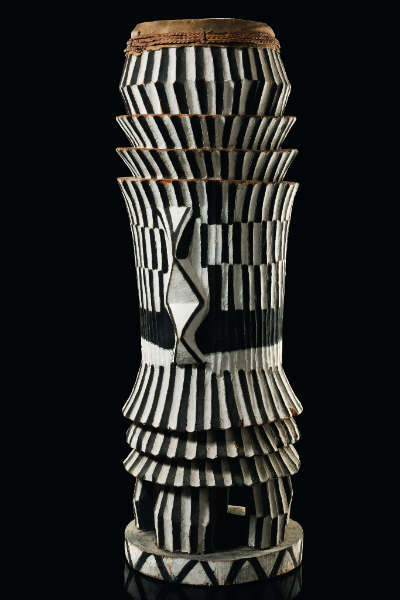 The Mongo people of Central Africa use geometric shapes and forms to create visually stunning drums. Drums are treasured assets of any African community; their vibrant and rhythmic sounds stirring up emotions and helping to carry on noble traditions, inspiring new generations to keep a sense of belonging, discovery and pride. A beat is the first thing we hear in life. 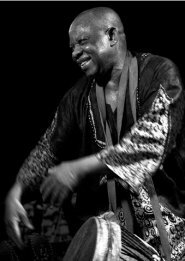 No wonder that African drumming has taken the world by storm.... inciting passion, inspiration, self-expression and healing in drummers on just about every continent on the planet! 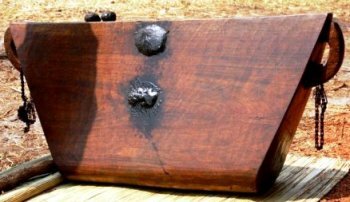 · They are still used in the traditional manner for celebrating ceremonial events, rituals and spiritual healing - a rhythmical representation of each happening in the cultural life of a village or community. · They are also part of social enterprises that uplift and empower local communities. By connecting the traditions to the modern market, the old ways are kept alive and relevant. Kwara, Nigeria, 2004. 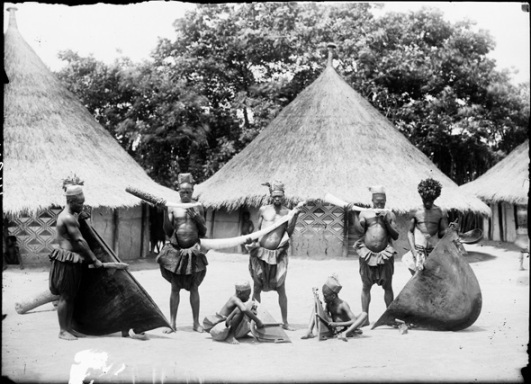 Drummers, celebrating the arrival of running water to their village, Ojumo Oro. Projects like this one raise the profile of the impact drums have on both traditional and modern societies. Their influence reaches deep into the hearts and homes of all corners of the world. Just pure, uninhibited, joyous ‘making music’ and dancing to the sound of the African drum and its infectious, primal beat and rhythms!